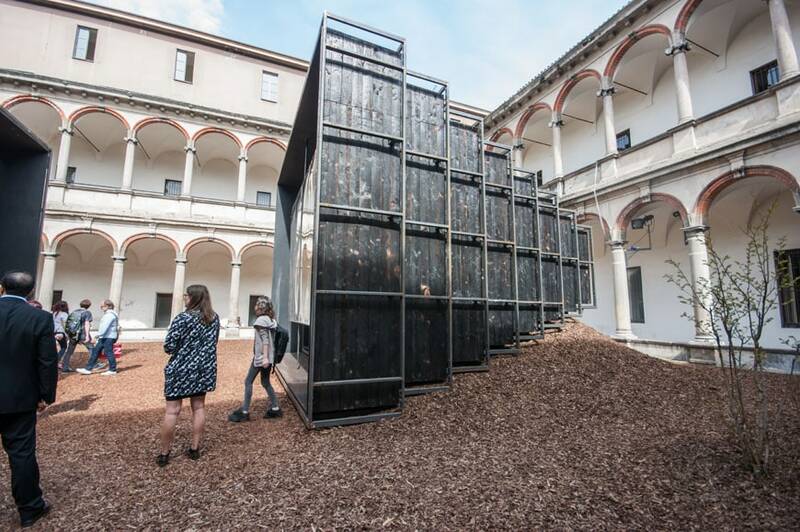 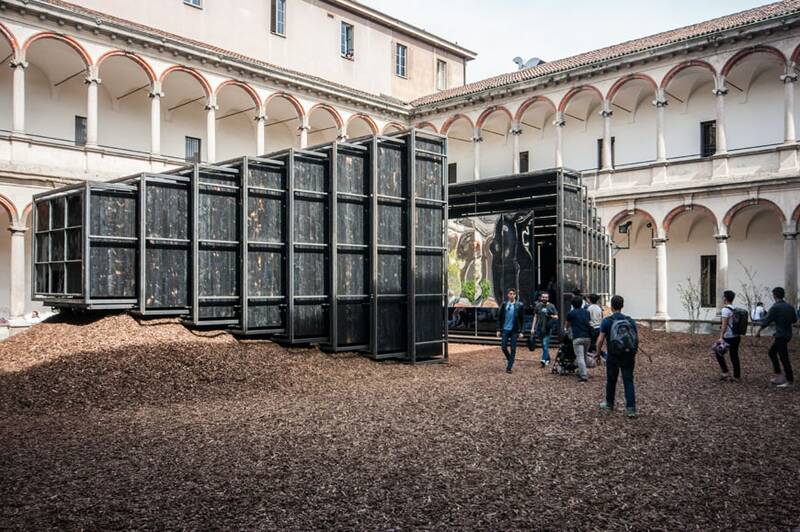 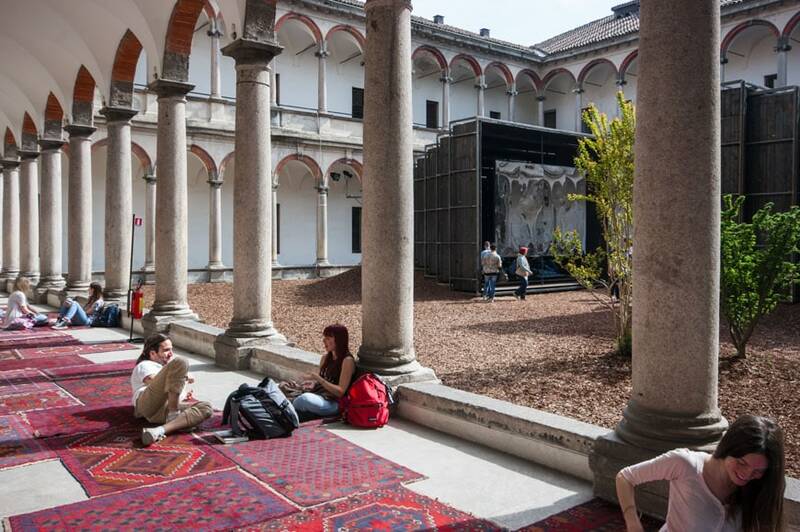 Camera Chiara is a temporary pavilion, designed by Annabel Karim Kassar, located inside the 18th century courtyard of the University of Milan and one of the installations commissioned in the framework of the “Energy for Creativity” program organized by Interni magazine and Mondadori. 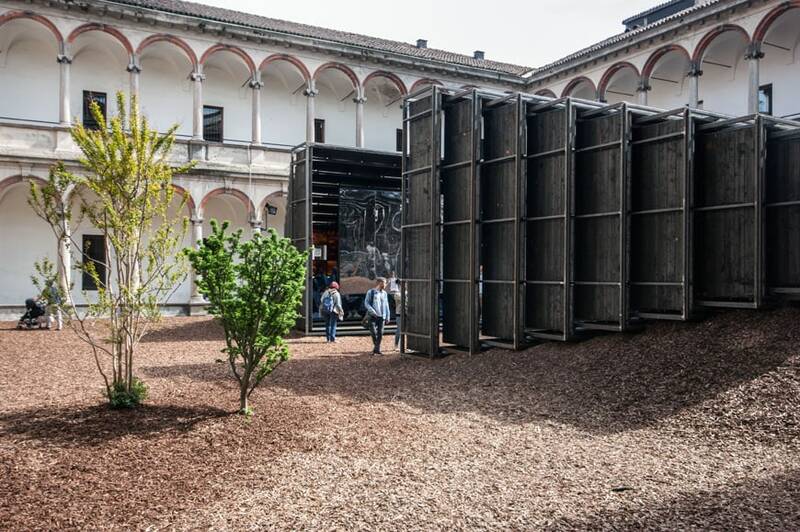 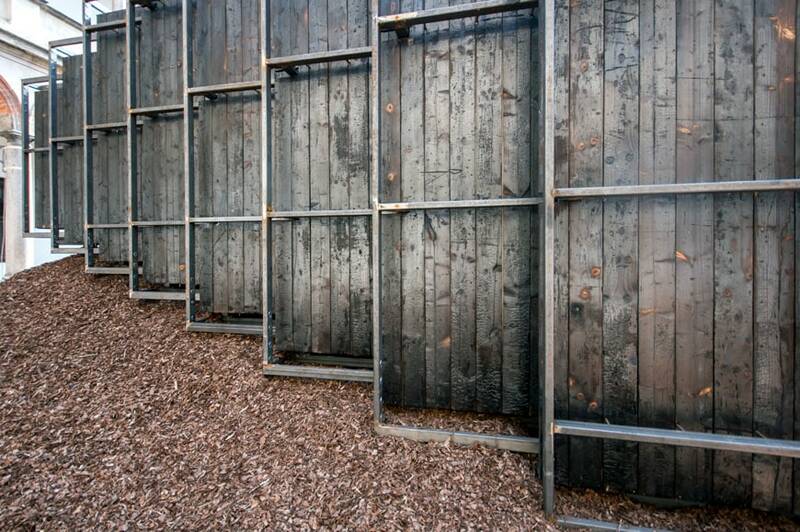 Camera Chiara is a project based on interrelations and cross-references inspired by the culture of Lebanon and constituted of two pavilions, made of timber and steel, lying on a thick bed of fragrant cork. 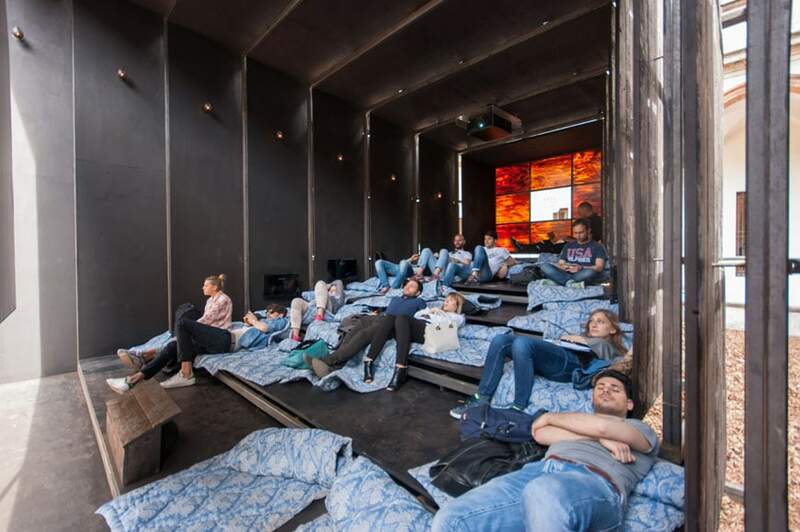 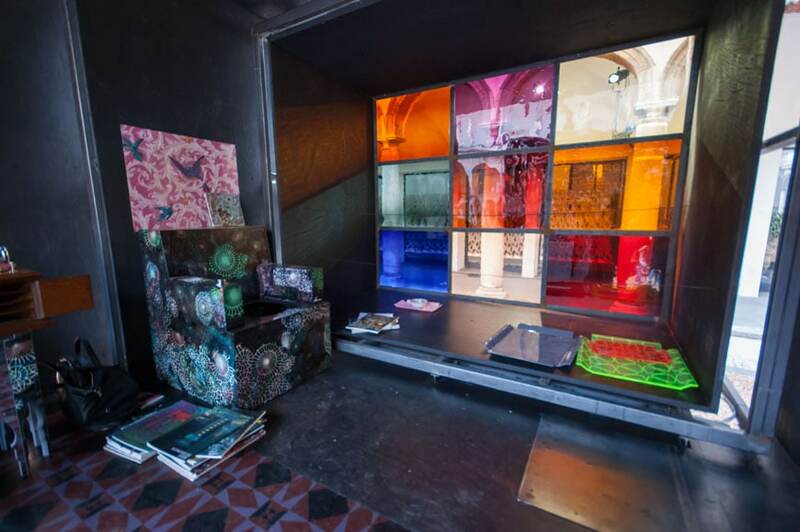 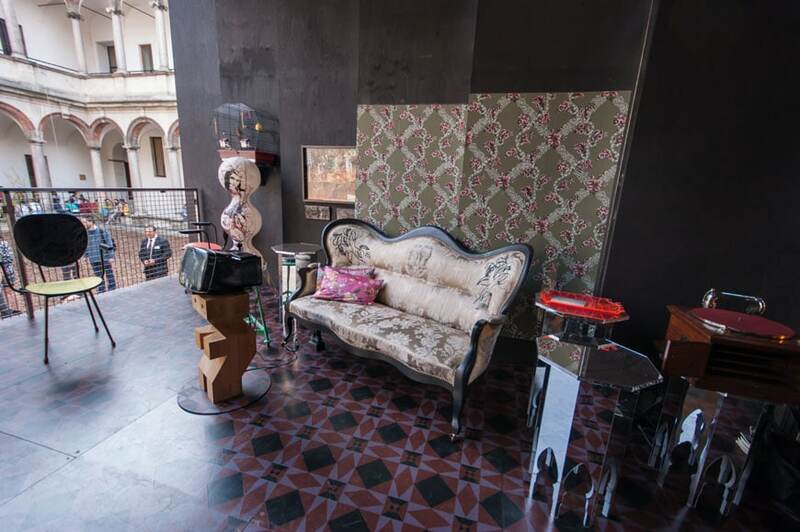 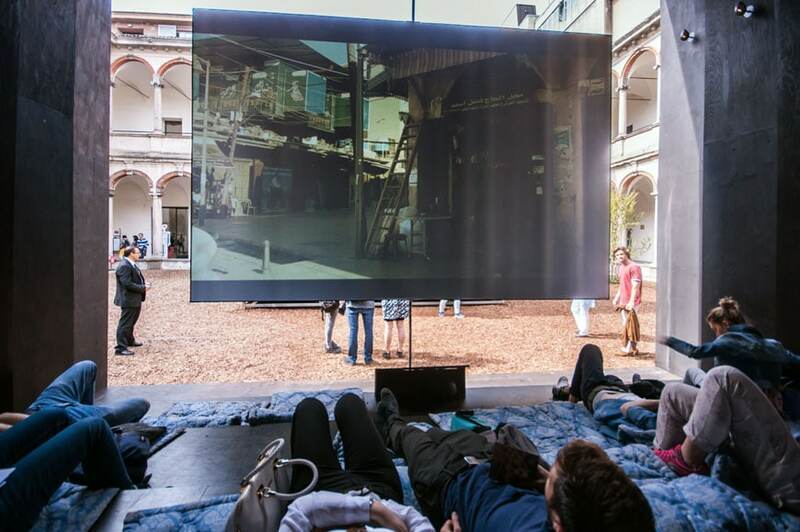 One pavilion contains everyday objects, furniture and textiles alluding to a domestic interior; while a second, almost identical pavilion, houses a small theater where, comfortably resting on cushions, the public watch videos depicting stories of work and people.